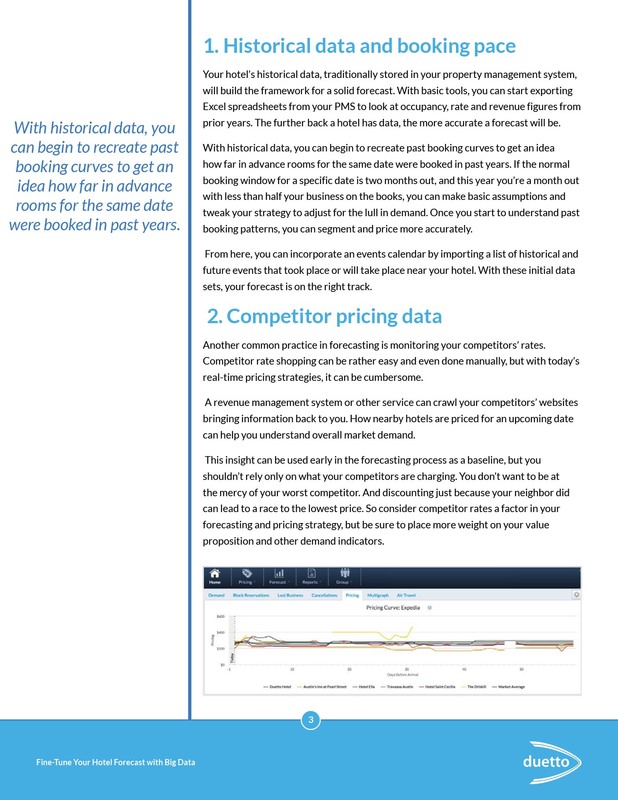 Traditionally, hotel forecasts have been made up of historical information from the PMS and booking pace. 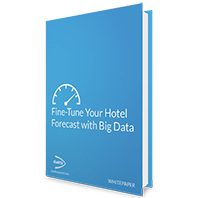 To better understand how busy hotels were going to be on an upcoming day, hoteliers would look back at how busy they were on the same day last year and compare the pace of bookings. 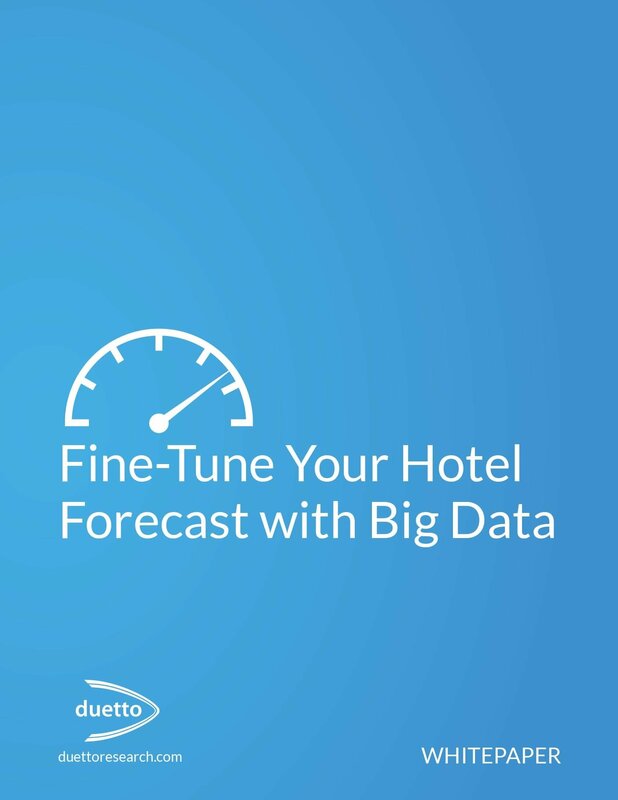 Today, more information about guests has become available and it can be leveraged by hoteliers to better understand future demand and maximize profits. 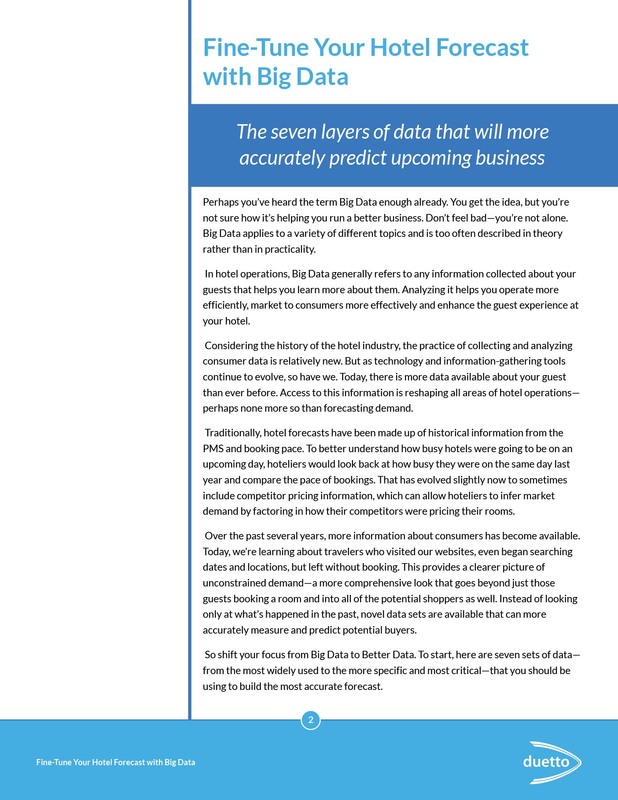 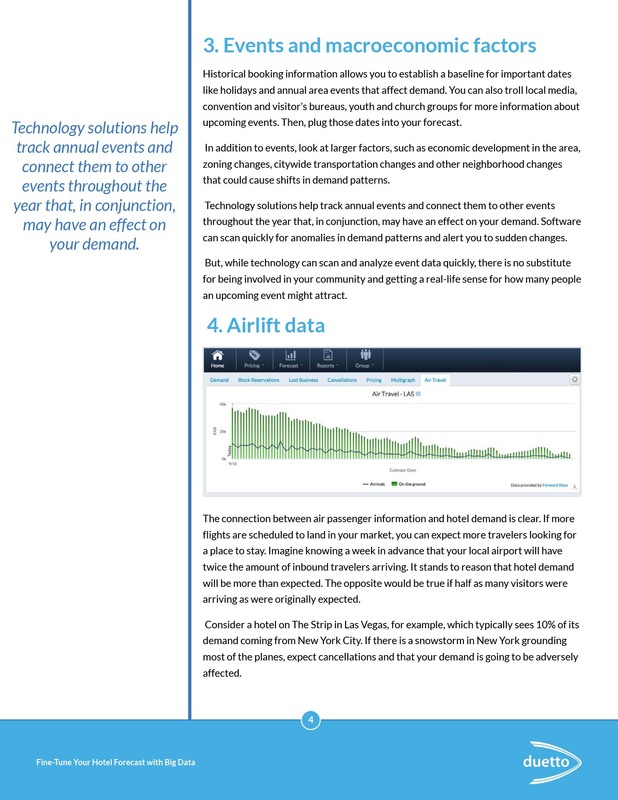 In this whitepaper we’ll reveal seven sets of data that you should be using to build the most accurate forecast.